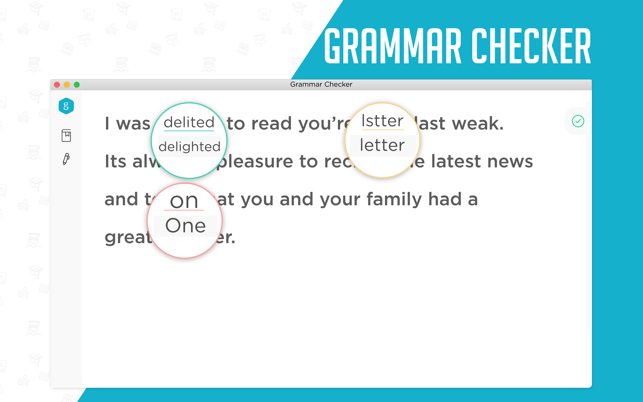 Grammar checker that will identify and correct all your grammatical errors for you. 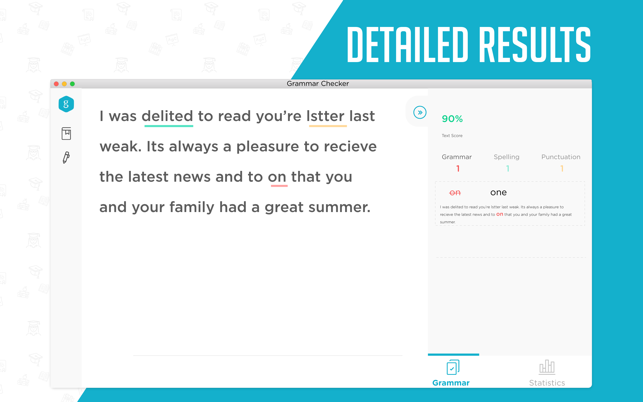 Grammar Checker X makes it easier for everyone to have a better, higher quality writing. 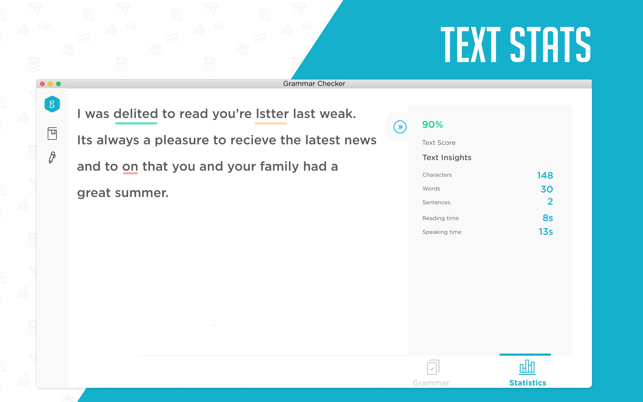 Now you can write and send any text with no spelling or grammar mistakes. Now it is possible for you to write with confidence right from your Mac device. Our grammatical proofreader and editor is simple and free! Written communication has become inevitable in every aspect of our lives, but sadly not everyone is proficient in the English language. If you wish you could write high-quality and error-free content yourself, then download this app without any delay. The good thing about this app is that it won’t just let you correct the mistakes but also helps you understand and prevent them in the future. Download your instant grammar and spell checker NOW. I've used many apps, but Grammar Checker X has its own place in my system. Most of my grammatical mistakes has been cought, but still need to improve. extremly slow! it took the app 5 minutes to catch one mistake! Total waste of money! !